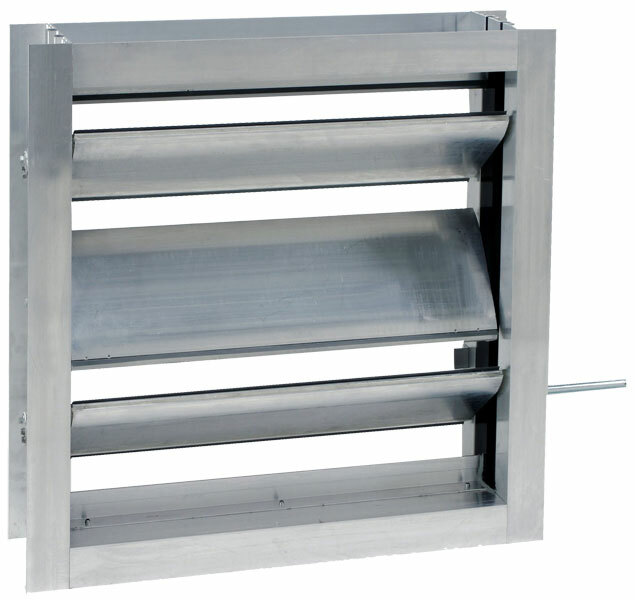 The TB-59 is designed for extreme low temperature applications with an operating range of -70° to +200° F.
The extruded aluminum frame is thermally broken in two locations on all sides of the damper.These breaks isolate each of the three sections (interior, center, exterior) with a two part urethane plastic insulation with a thermal conductivity of .0801 BTU/FT F.
The blades are an extruded aluminum airfoil design that minimizes turbulent airflow and reduces pressure drop across the face of the unit. 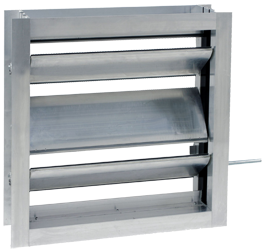 The airfoil blade is insulated with a high-density foam injected polyurethane. Each blade is thermally broken on the entering and leaving edges of the blade; preventing temperature transfer when the damper is in the fully closed position. Minimum Size: 8" x 10&frac78;"